President of the Senate, Dr. Abubakar Bukola Saraki, has called on the Government of Qatar to end its visa restriction on Nigerians. The President of the Senate who led a National Assembly delegation to the 140th General Assembly of the Inter-Parliamentary Union (IPU) taking place in Doha, lamented that the Visa ban is negatively affecting Nigerians as it prevents that from visiting the Middle East nation. He said there was the need to set up a a legal framework to enable skilled workers and professionals in Nigerians to legally gain employment in Qatar. 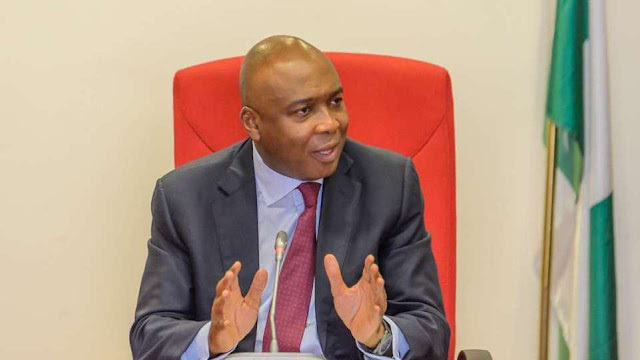 Saraki said: "I want to commend your fighting spirit in standing up for your rights. You have demonstrated that you mean well for your people and what you have done is worth emulating. "That said, I think both countries (Nigeria and Qatar) need to strengthen their ties, especially our parliaments. We need to collaborate to achieve many things together. The collaboration will be good for the two countries and for our people. "I want to make an appeal that the visa restrictions placed on Nigerians be lifted. Nigerians are good people and we travel a lot. "In the area of sports, we need to do more together. Nigeria is a sport loving country. We have talented people in various parts of the world, including Qatar, doing great things in sports. If we collaborate, we will be able to develop that sector too." The Senate President also met with the President of the IPU, Ms Gabriela Cuevas Barron - who is expected to visit Nigeria before the expiration of the 8th National Assembly in June.